Goosebumps mastermind R.L. Stine reveals that his Fear Street books are still being adapted into movies at Fox. To be precise, Stine says that there are currently three movies in development at the studio based off of his wildly popular book series. Leigh Janiak is on board to write and direct the Fear Street trilogy, which will be shot back-to-back-to-back. As far as what books will be used for the trilogy, that remains a mystery at this time. While the Fear Street books that will be used for the trilogy haven’t been announced, R.L. Stine may have dropped a pretty good hint on social media. The author admits that he gets asked about the trilogy quite a bit. It’s understandable, the Fear Street trilogy is a pretty big deal to Stine fans. Stine had this to say about the trilogy. The newest book in the series is “The Wrong Girl,” which was released back in September. R.L. Stine could be promoting his newest book, or it might actually be included in the upcoming trilogy. For now, it’s all a mystery, but it’s nice to know that Fox still has the trilogy in development. As for possible release dates, it’s not clear when they will be hitting theaters. With that being said, it’s believed that they will all come out close together since they’re all being filmed so close together. R.L. Stine new that he wanted to be a writer back when he was nine-years old. However, he never intended to work in the children’s book industry or to be writing horror. The author admits that he just wanted to be funny. However, once he started with the Goosebumps series, there was no turning back. The series went from being largely ignored to selling millions of copies a month and starting a film franchise in the process. Now, R.L. 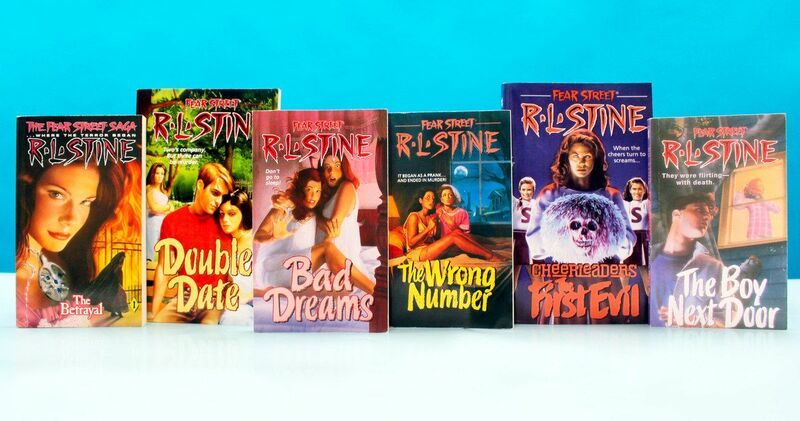 Stine fans have the Fear Street trilogy to look forward to. When asked about his success, R.L. Stine says that the kids are responsible. The author believes that word of mouth and the trading of his books is what started the initial success. Back in the mid-1990s, it was out of the ordinary to see over 20 Goosebumps books in the Top 50 book lists. The Fear Street trilogy will be a bit darker and grittier than the two Goosebumps movies, which means that they could end up doing pretty well at the box office as well. At this point, we’ll just have to wait and see. You can check out the Fear Street trilogy update below, thanks to R.L. Stine’s Twitter account.